If the best things in life are free, then the second-best things cost under ten bucks. To that end, we put our budget travel hound hats on to come up with some great ideas for saving money on travel in these lean times. Every Wednesday afternoon the Port Douglas Yacht Club offers free sailing for visitors, with live music back at the club. Explore the Queensland rainforests and spot some native wildlife with one of the many bushwalks on offer. 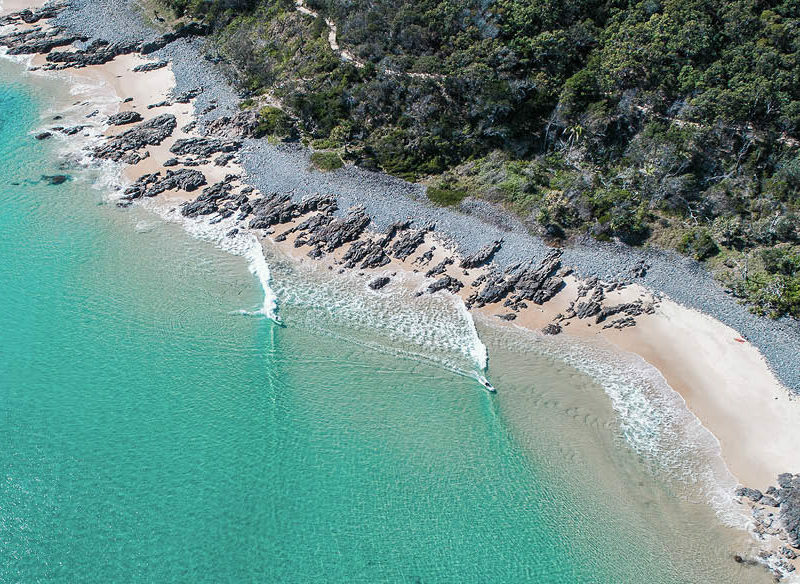 One of our top picks is the Noosa National Park coastal walk which offers stunning water views, lookout points, and even dolphin and whale sightings. The Queensland Museum is home to a number of excellent exhibitions and events which are suitable for all ages. These exhibitions change every few months so there’s always something new to see. South Bank is a must-do while in Brisbane due to its proximity to well, everything. You can take a dip at Streets Beach, Australia’s only inner-city beach, or take in any of the other free things to do in the area, from visiting museums to cycling along the riverfront. Brisbane is also home to the largest urban subtropical garden in the world. Set in the heart of the CBD, the Roma Street Parklands have different precincts to explore, including an assortment of trendy cafes and restaurants, interwoven with historical monuments such as the heritage-listed Old Windmill and the Spring Hill Baths. Gold Coast city runs a number of indoor and outdoor yoga classes allowing you to enjoy the city’s beautiful parks and scenery while you exercise. Classes are suitable for any age and level, just bring a towel or mat. Cruise the Brisbane River with the CityHopper, a free ferry service that travels along the river stopping at key locations. Take in the sights of Maritime Museum, South Bank and Thornton Street all in one day – you can hop on and off as many times as you like. The Regional Flavours food festival is returning to Brisbane’s South bank in July for two unforgettable days. The free celebration features a number of celebrity chef appearances, live music, beer and wine and over 80 food stalls. Check out the program first so you don’t miss any of the highlights. It’s no secret that movies aren’t as cheap as they used to be. However, Harbour Town’s Reading Cinema has made them affordable once again, offering some of the top new releases at budget-friendly prices. 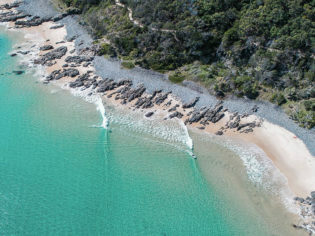 Queensland has some of the best beaches in Australia. It’s free to lay your towel in any spot (provided it’s not on top of anyone else’s) and relax to the sound of the waves. Try Broad Beach, Burleigh, or find your own favourite spot. Head on down to the Brisbane Powerhouse Museum every Saturday morning between 6am and noon for the Jan Powers Farmers Markets. Featuring over 120 food stalls with everything from fresh juices and seafood to flowers and pastries there’s something for everyone and every budget. Alternatively, visit one of the three other locations: Brisbane City (8am – 6pm Wednesdays), Manly (first and third Saturdays of each month 6am – noon) and Mitchelton (first Sunday of each month 6am – noon). With live music and great specials most nights of the week, the newly refurbished Elephant Hotel in Brisbane’s Fortitude Valley is a great way to enjoy a few drinks and a meal without blowing the budget. Visit one of Queensland’s best biodynamic farms, Currumbin Valley Harvest, to pick your own seasonal vegies and herbs or visit the farm’s pantry for a great selection of ethical and organic products. After you’ve checked out the produce you can sit and take in the farm or creek views with a tea and cake at the cafe. Learn the art of meditation with the Australian School of Meditation and Yoga’s fully-guided sessions. Bring a yoga mat or towel to one of the sessions held at Mermaid Beach, Southport, Nerang or Labrador. O’Reilly’s Treetop Walk allows you to explore the World Heritage-listed Lamington National Park from the air as you cross nine suspension bridges and climb up to observation decks attached to massive strangler figs. Keep an eye out for the unique rainforest flora and fauna and make sure to bring your camera.